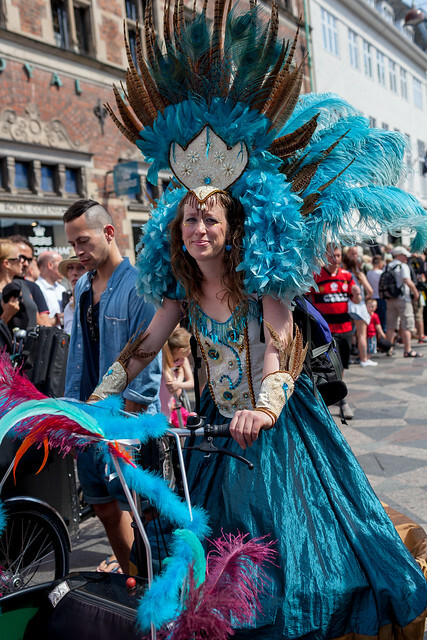 Copenhagen exploded with color, dance and fun during the Carnival. As always bicycles were part of the street scene. 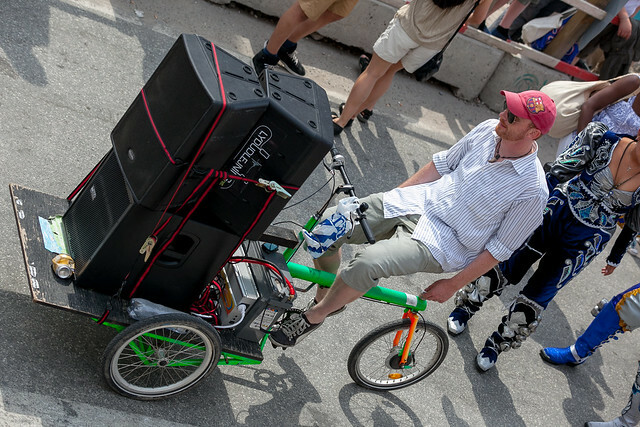 Most of the bicycles followed the dance groups carrying supplies - and little tiered helpers. Long John with a spare drum and some extra tingle-tangle. A splash of Carnival glitter. One of several mobile music boxes that got the Samba rhythms rolling. 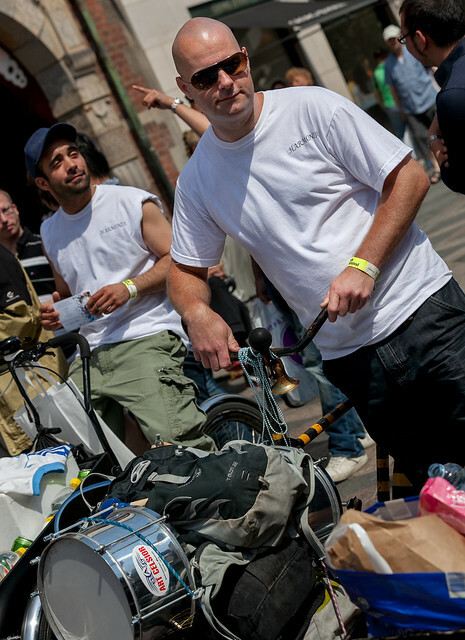 Carnival in June in Copenhagen?